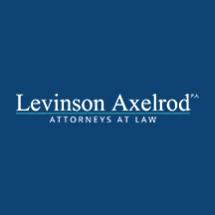 When you need a skilled New Jersey, personal injury attorney, contact Levinson Axelrod, P.A. Our practice specializes in all types of personal injury cases from Automobile accidents to Premises accidents to Medical Malpractice to Worker’s Compensation and everything in between. We have 7 offices throughout the state for the convenience of our clients. We offer 100 percent FREE case evaluations to discuss their matter and learn more about their legal options. We take cases on a contingent basis which means No Fee unless we are successful for you. We understand that the negligence of others can lead to devastating, life-altering personal injuries. Results such as traumatic brain injury, neck injury, spinal cord injury, paralysis and amputation can be difficult for an entire family to overcome. The skyrocketing cost of health care and medical bills such as surgery and physical therapy can quickly place a family into financial peril. It is our goal to explore every legal avenue of compensation and ensure you recover the maximum monetary award possible in your situation. Celebrating 75 years of practice. At Levinson Axelrod, P.A., we have built a reputation around aggressive representation, personal service and prompt communication. We understand that our clients are frightened by the prospect of losing work and having to pay hundreds of thousands of dollars in medical bills. No matter if your injury was caused by a motor vehicle accident, construction accident, defective products or dangerous premises, our New Jersey personal injury lawyers are prepared to help. Contact our law firm to schedule a free consultation and receive an honest case evaluation.